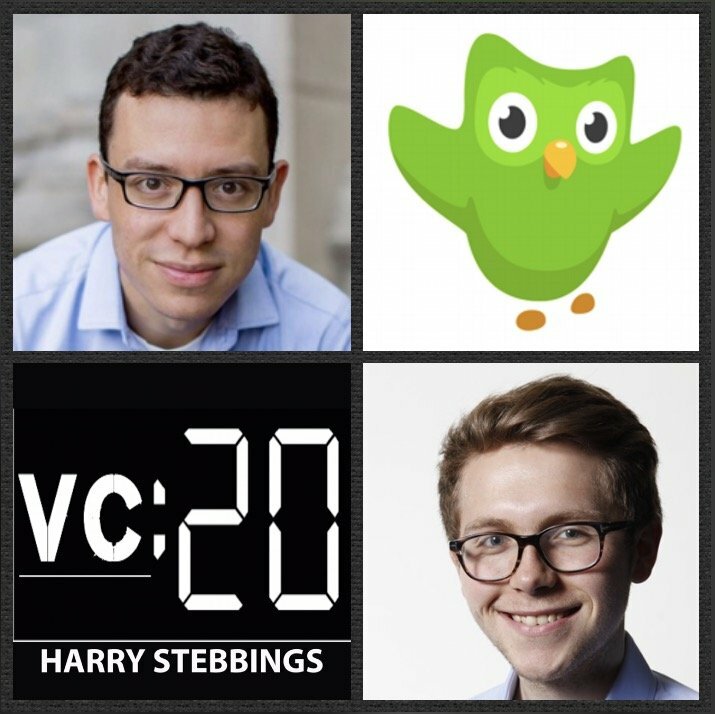 Luis Von Ahn is the Founder & CEO @ Duolingo, the leading language learning platform with over 100m users. They have backing from some of the best in the investing world with over $100m in funding from the likes of USV, Kleiner Perkins, NEA, Google Capital and even Ashton Kutcher. Prior to Duolingo, Luis is known for inventing CAPTCHAs, being a MacArthur Fellow (“genius grant” recipient), and selling two companies to Google in his 20’s. Luis has been named one of the 10 Most Brilliant Scientists by Popular Science Magazine, one of the 20 Best Brains Under 40 by Discover. 1.) How Luis, a man as he describes “never great at learning languages”, came to found the leading language learning app, Duolingo? 2.) Why do VCs generally believe Edtech to be such a “hard” space? Is that really a fair assumption? How does the role of government change the distribution and landscape of edtech? How does content creation play a pivotal role in edtech today? 3.) What role does Luis believe AI and ML will play for the future of edtech? Will the transition to bots represent a transformational shift in the interface paradigm? How does gamification and edtech integrate? Why does Luis always measure themselves against the most addictive of games? 4.) How has Luis seen himself scale and change as a leader with the scaling of the firm? What story shows an element that Luis struggled with and how did he overcome it? What were the major inflection points in the growth of the firm? 5.) Duolingo recently raised their $25m Series E, how did this round differ from prior rounds? Why did they want to negotiate down the figure they wanted to raise? How did Valley based VCs present herd mentality for the duration of the recent raise? As always you can follow Harry, The Twenty Minute VC and Luis on Twitter here! Lattice is the #1 performance management solution for growing companies. With Lattice, it’s easy to launch 360 performance review cycles as often as you want. And you also get a continuous feedback system with OKR goal tracking, real-time feedback, and 1-on-1 meetings to make sure employees get feedback between reviews. Find out why the likes of CoinBase, PlanGrid, Birchbox and WePay trust Lattice as their performance management solution by heading over to lattice.com to start investing in your people. That’s Lattice.com. Recurly, the company powering subscription success, with Recurly’s enterprise-class subscription management platform providing rapid time-to-value without requiring massive integration effort and expense and they have the ability to not only increase revenue by 7% but also reduce the all-important churn rate. That is why thousands of customers from Twitch to HubSpot to CBS Interactive trust Recurly as their subscription management platform. Check them out on recurly.com that really is a must. Interesting, I can’t wait until Duolingo supports the Hausa language. In the meantime I would continue to take on the difficult task of having a useful, informative, comprehensive online Hausa dictionary at HausaDictionary.com like SpanishDict.com for Spanish.